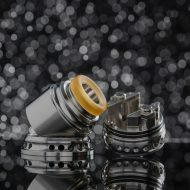 RDA’s are designed in many shapes and forms for advance users only to customise their vaping experience. 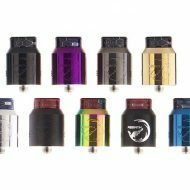 Unlike tanks a dripper does not contain/hold liquid and is more often required to be dripped on, drippers are easier to maintain and change out builds, wicks, and customise desired resistance. 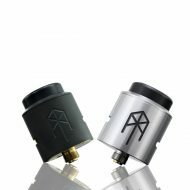 The much awaited GOAT (Greatest of all Time) by Duane (OhmBoy) and Nick (Grimm Green) is available in choice of Black, Blue, Gold, Gunmetal and Stainless Steel colour options. 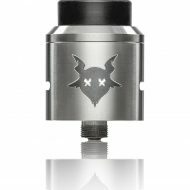 The GOAT delivers a consistent, reliable, quality vape every time by utilising a custom designed coil head. 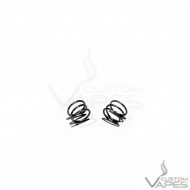 Using Anarchist wire in each coil, The GOAT delivers flawless performance with the cleanest wire ever made. 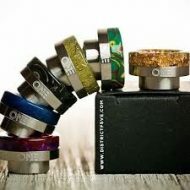 Every last detail was expertly crafted to truly make it the “Greatest Of All Time” (GOAT, get it?) 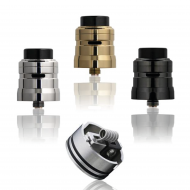 We evaluated every possible factor, from fine tuned airflow and conical shape to top cap height and coil elevation. 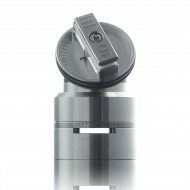 We didn’t stop until we found the sweet spot. 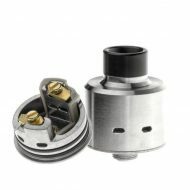 No more guessing what coils will perform well, just screw in a GOAT Coil Head, trim the wick, and you are ready to vape. 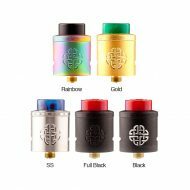 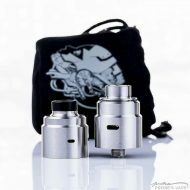 Psyclone Mods present the much anticipated Entheon/Hadeon RDA! 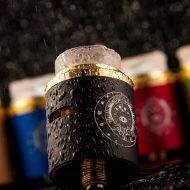 The legendary modder and creator of the Psyclone Hadaly RDA and many mods has created another masterpiece. 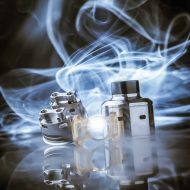 The Entheon RDA was born from a labour of love in pursuit of creating the ultimate flavour atty for the second time. 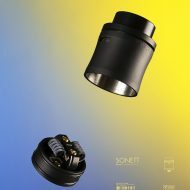 In addition to the superior flavour, the Entheon is one of the easiest RDA’s to build on with it’s two post deck and innovative Reversible Coil Clamping System (CCS). 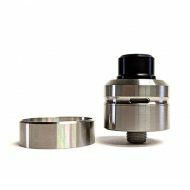 Built specifically for single coil builds, the Entheon CCS will allow any novice builder to install their coil with ease. 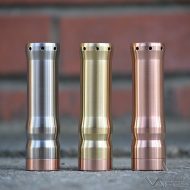 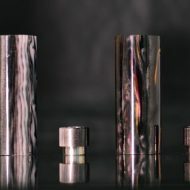 Multiple Tips and adapters are included as standard in different materials as well as a 24.5mm Beauty Ring, and for squonk users a bottom feed pin is included as standard.